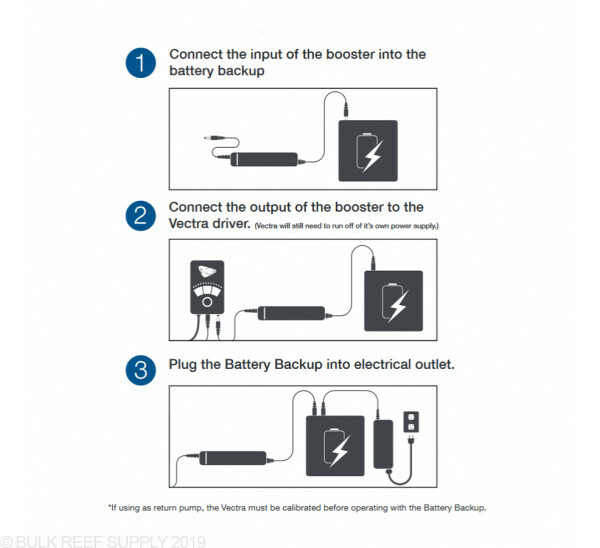 The Ecotech Marine Vectra Battery Backup Booster will plug in directly between the controller on the Vectra series of pumps and the battery backup allowing your aquarium system to have flow in the event of a power outage. Allows the Vectra M1 or Vectra L1 to be used with the Ecotech Battery Backup. Having your return pump on a battery backup system will let your tank have full circulation, even when there is no power to the rest of the tank. 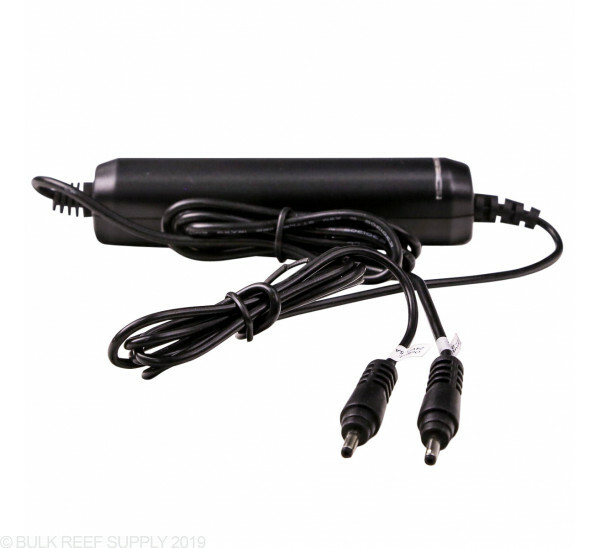 Oxygen can be depleted within a matter of hours in a reef tank, and keeping your return pump running lets your display tank stay oxygenated, as well as your sump. 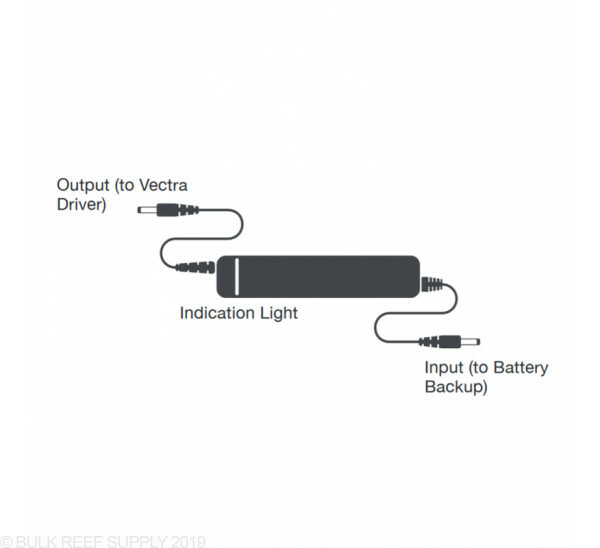 The runtime of the Vectra series of return pumps when being powered by the Ecotech Marine Battery Backup can be influenced by a number of different factors, some you cannot control, and some you can. 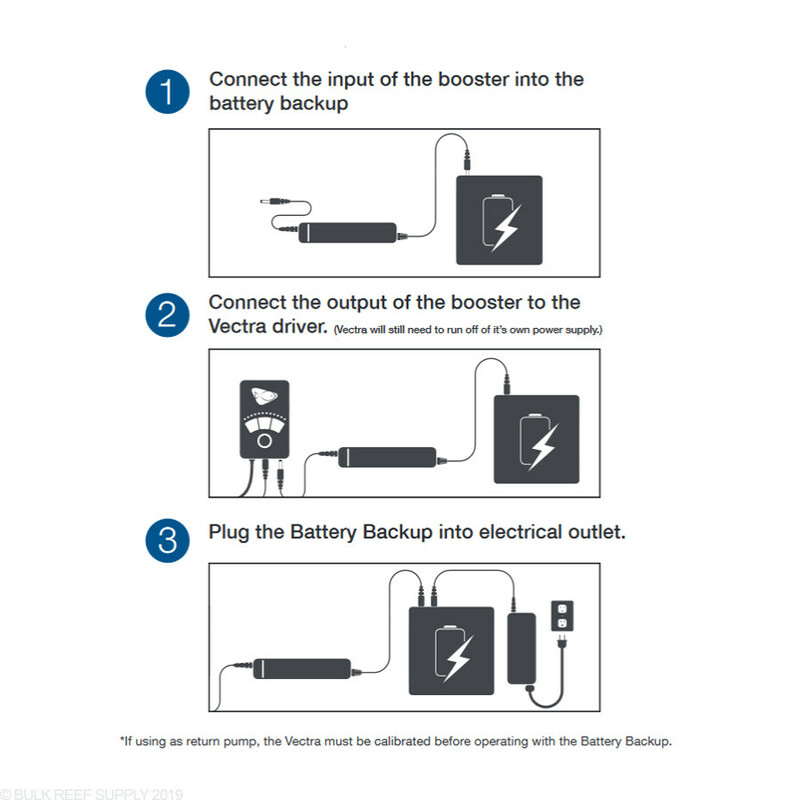 When the Vectra pump is connected to, and is powered by the Ecotech Battery Backup that will allow you to calibrate your Vectra pump, setting the flow, and even On/Off intervals conserving battery and keeping your tank running longer. Note: Only compatible with the Ecotech Vectra S1, Vectra M1 or Vectra L1 Return Pumps. Use with other Ecotech products can and will cause damage. While this works in theory, unless you have a reeflink and your vectra connected to eco smart live, there is no way to adjust the run speed while on battery. It defaults to 10% (barley enough to push water through my systems plumbing). This makes it pretty much unusable without a reeflink! 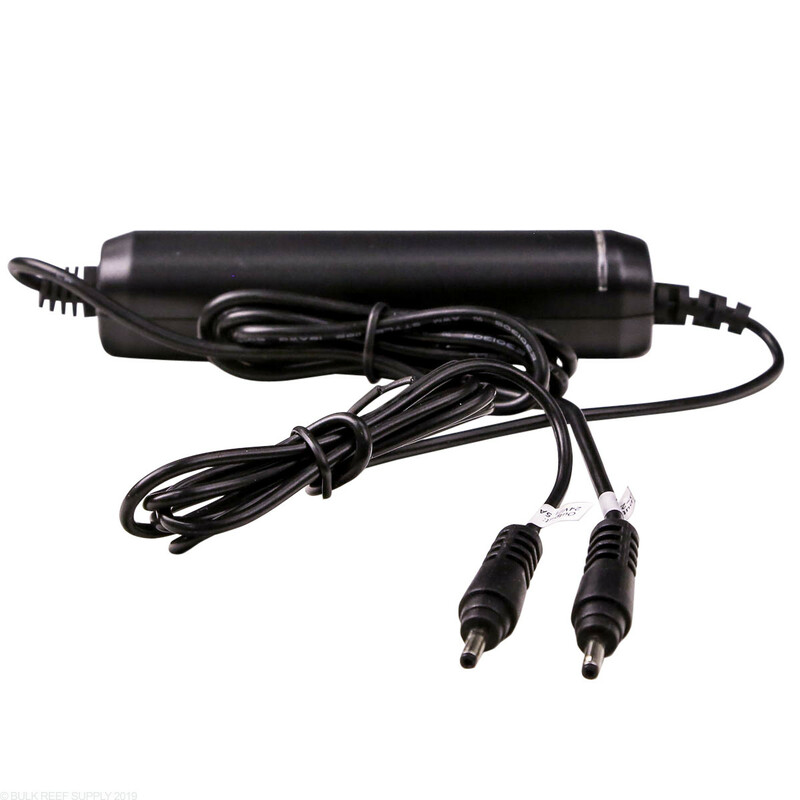 In the event of a power loss, the backup battery will take over communication with the driver and will drop the pump speed to the default backup setting. This is to preserve battery life and ensure the pumps can run for as long as possible during an outage.